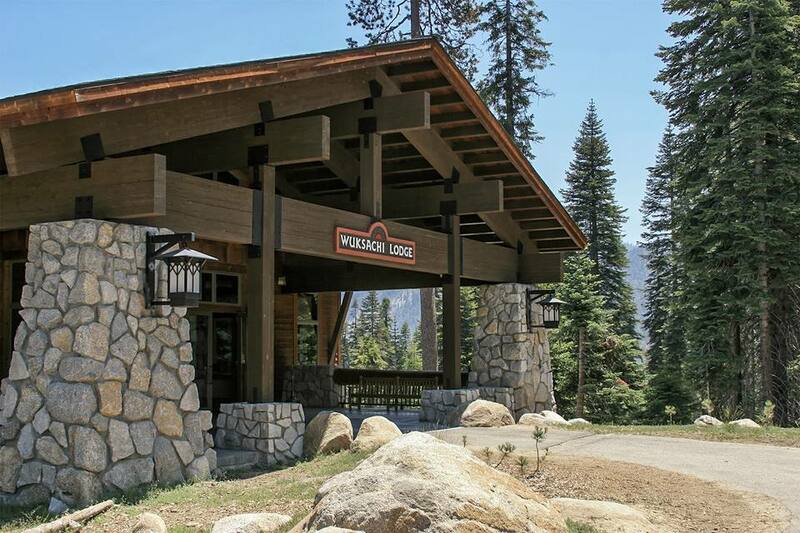 Wuksachi Lodge is a lovely place to stay when visiting Sequoia and Kings Canyon. The rooms are nicely decorated and quiet, the staff friendly and well-trained. The restaurant's floor-to-ceiling windows offer treetop views, and the cuisine is above average. While Wuksachi is the most expensive property in Sequoia and Kings Canyon, it's comparably priced to similar hotels at other California national parks. It becomes a terrific bargain mid-October through mid-May when rates fall to almost half of their summer highs. Recently, Wuksachi has been starting to show some troubling symptoms — un-patched cracks in the walls, small areas that need to be painted and little lapses in housekeeping. It's a trend worth watching and you may want to read the latest guest reviews at Tripadvisor to see what the latest situation is. Wuksachi has 102 rooms, a cocktail lounge, and a full-service restaurant. The local tax rate is 10%. Parking is free. Pets are allowed. The hotel is spread out over three buildings. One houses the lobby, restaurant, gift shop and other common areas. Rooms are in two separate, two-story buildings. You'll get the best views from the Stewart Building. The larger Deluxe rooms, with a small table and chairs, and a sofa in rooms with a king-sized bed are worth the extra cost. The lodge does not have a swimming pool, spa or fitness center. Pets are not allowed. Rooms have coffee makers, mini-refrigerators, and televisions. The hotel doesn't have air conditioning, but ceiling fans and Mother Nature keep things cool at night. WiFi is available only in the common areas and bandwidth is limited. Don't expect to stream movies, do a video chat or transfer lots of data. The lodge has a restaurant, but no room service. If you have mobility issues, you need to know that there are no elevators in the two-story guestroom buildings. If you reserve online, pay attention and be aware that one reservation service covers all the places to stay at Sequoia. You could start from the Wuksachi page on their website and arrive at a page that shows rooms available, but find out too late that they were in a different place. If you want to eat in the Wuksachi dining room — and there's really nowhere else to eat at Wuksachi — make reservations. You can do that up to 30 days before you arrive. The lodge is open all year, but in the winter, you might need snow chains to drive there. If you're looking for a last-minute getaway, don't wrongly assume that the Wuksachi will be booked up far in advance. On a visit in mid-July, walk-in guests reserved the last available room at 6:00 p.m. on a Saturday. There's no two-day minimum stay here, either. Wuksachi is in Sequoia National Park, at 7,200 feet elevation. It's in the Giant Forest Area two miles north of Lodgepole Visitor Center and six miles north of Giant Forest.